What Questions Can We Answer To Skyrocket Your Career? We created The Ten-X Leadership Academy Mentorship Circle to raise the bar for high-achieving women like you. In order to move forward with your career, you need to create specific actions and build powerful relationships to advance your vision. The Mentorship Circle offers specific actionable steps to move your career forward, live coaching, targeted procedures - from branding to building your career ladder to managing internal self-doubt to empowering your next steps. Discover - Who you are. Specify - What You Want. Transform - Into the leader you want to become. Envision - All the possibilities your career can offer and imagine the impact you can make when you are clear about what you want. 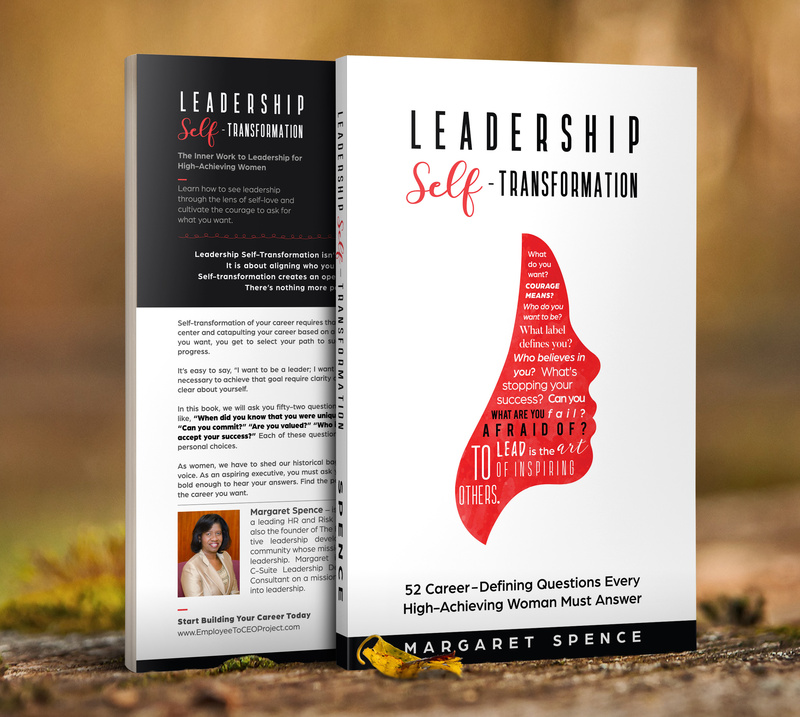 The framework for this program is based on Leadership Self-Transformation: 52 Career-Defining Questions Every High-Achieving Woman Must Answer. A free copy is included with the course registration. Self-Transformation: A Keen Understanding that YOU are 100% Responsible for Your Career and Life's Journey. Empowerment: Asking Powerful Questions to Guide Your Path and Move the Career Needle. Leadership: Defining who you are, what you want, and taking action to get it. The action steps necessary to achieve your career goals require clarity and focus. You cannot lead without getting clear about who you are and what you want. The decisions you make today will undoubtedly affect your tomorrow. We will challenge you to get clear about today, so your tomorrow will be what you truly want. Most people spend all of their time planning the next move but fail to move. Your Strategic Plan is a working document that we will create to move your career forward. It is the validation of the vision. Who are you? What is your personal brand? What message are you sending about who you will be as a leader? Every encounter that you have with someone in your organization is your opportuntiy to develop your brand messaging - we will show you how to build a leadership brand. Did you follow through with your plan? We will empower you to build a career plan by creating action times to move you forward - every month we will support and hold you accountable for your progress. Success is Subjective and Objective - Leadership is knowing what you want, but the real magic happens when you get others to come along for the ride. As a leader, you are not here to create followers or build likes - you are here to create more great leaders. We will empower you to lead even when you don't have a leadership title. This program is for every woman who was told by her parents that education was the ticket up the ladder and success was the only option, but arrived in the workforce to be told that you are not "ready" enough to lead the team. The Mentorship Circle is for every woman who hears the voice in her head telling her that she is not good enough to take on a leadership role - even though you are more qualified than anyone else on the team. The Circle of women in this group understand career frustration but are willing to raise the bar because you recognize that it takes a village to support your career vision. The women in this group are eager to work in their career and on their career simultaneously. Are you that woman? No Minimum Monthly Commitment - Just give us 30-Days Notice when you want to be removed from the monthly program. Sign up via our secure Training Platform. This program is completely online - via live web conferencing. You will have access to all recordings that occurred in the three months prior to your joining the group. You’ll get instant access to the Ten-X Mentorship Circle training, everything listed in our included section above. Then every month you’ll get access to live calls where I’ll teach the top career management strategies to accelerate your career. NO minimum monthly commitment. Just give us 30 days notice when you want to be removed from the monthly program - we will process your cancellation at the end of your billing cycle. We will hate to see you leave but we understand if you must. You'll Get Instant Access to Ten-X Mentorship Circle, Live Group Career Strategic Sessions, "Hot Seat Coaching" and Leadership Guidance.